Once an Insolvency Practitioner (IP) has reviewed your financial position a decision will be made as to the most appropriate course of action to take, and the likelihood of creditors agreeing to such a plan. 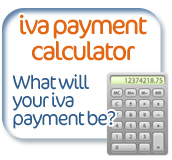 If it is decided that an IVA is your best option than the IP will then put together a manageable repayment plan. This will then be submitted to the creditors for consideration, who may request amendments if they are dissatisfied with the proposal in its current form. 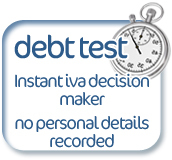 Repayments have to be affordable and allow you to live off the remaining income; otherwise the IVA will inevitably fail which is not in the interest of either party. After any changes to the proposal have been made, a creditors meeting will be held. Here creditors will consider the proposal further and vote on their acceptance of it. Attendance is in no way mandatory for creditors and so written voting submission will also be included. If creditors, making up 75% of your debt agree to support the proposal than an application is made to the court and an order will be made making the IP as overseer of the IVA, to ensure that the obligations under it are carried out. The usual term of an IVA is five years, and for that period the IP will receive all repayments under the IVA and distribute them accordingly to creditors. Once the term of the IVA has been reached, with all obligations performed by the parties, you free of all obligations connected with the previous debt. In other words debt free!